Sometimes, you just need a big bite of comfort and that is where this Southern Fried Chicken Sandwich with Zesty Slaw comes in to play. Think of a classic fried chicken sandwich, but with that homemade goodness and elevated just a few notches. The zesty slaw is a bit of a twist, but all sandwiches need some type of crunch. 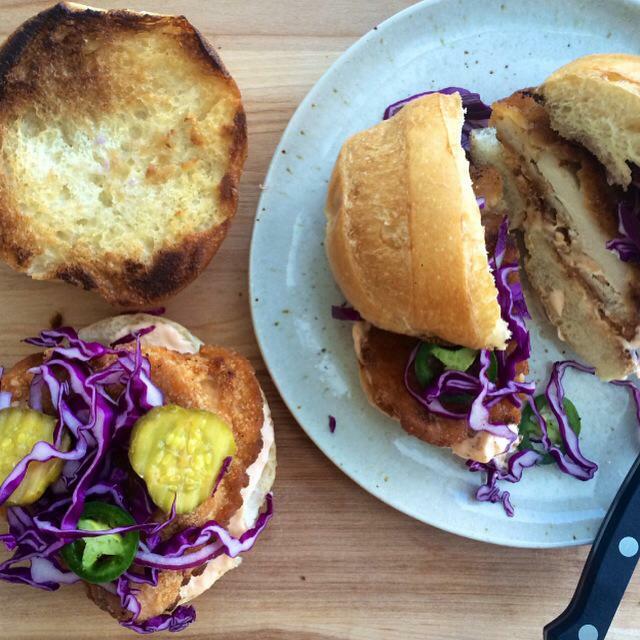 Not only that, the slaw, brightens and adds some kick to an otherwise, traditional chicken sandwich. 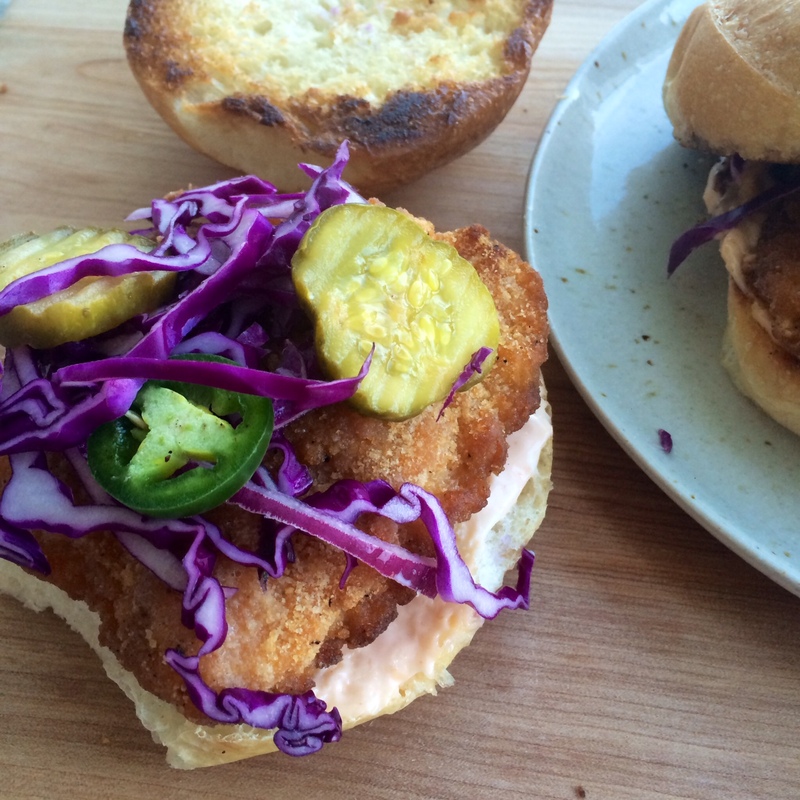 A substantial smear of spicy mayo, super crispy fried chicken and a zesty slaw makes this sandwich, OMG fab! Serving slaw on the sandwich versus as a side dish makes all the difference in the world. It adds a tangy kick, to the fattiness of the fried-chicken and mayo in each and every bite. Fried chicken is a little too greasy and a little too filling to enjoy every day of the year so if you’re going to have it occasionally, I say do it big. 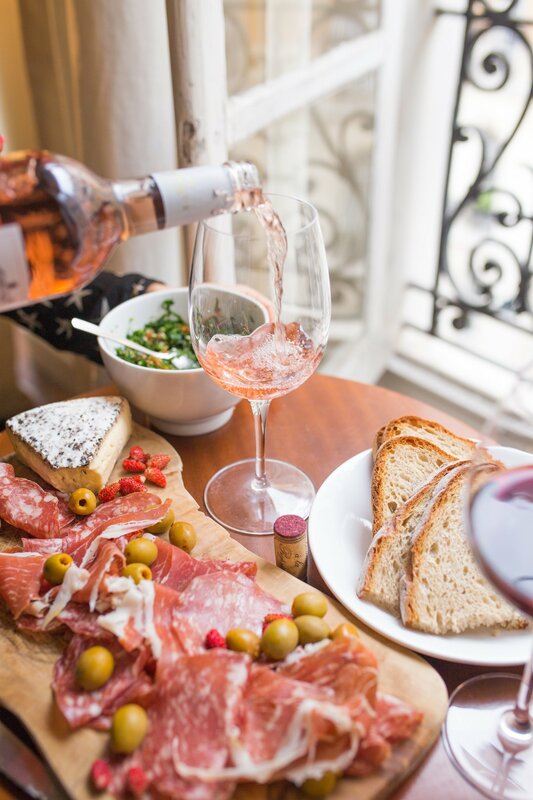 The next time you need a bite of comfort, remember this recipe. There is nothing better than the simplicity of this American Southern classic. Mix garlic, mayonnaise, and hot pepper sauce in a small bowl; cover and chill. Toss onion, jalapeno, cabbage, pickles and pickle juice in a large bowl to combine; cover and chill. Whisk flour, pepper and ½ teaspoons salt in a shallow bowl. Pour buttermilk into another shallow bowl. Working with 1 piece at a time, dredge chicken in flour mixture, shaking off excess. Dip in buttermilk, allowing excess to drip back into bowl. Dredge again in flour mixture, shaking off excess. Pour oil into a large heavy skillet to a depth of ½-inch. Prop deep-fry thermometer in oil so bulb is submerged. Heat over medium heat until thermometer registers 350°. Fry chicken until golden brown and cooked through, about 3 minutes per side. Transfer to a wire rack set inside a baking sheet; season with salt. Spread cut sides of rolls with butter. Heat another large skillet over medium heat. Working in batches, cook rolls buttered side down until browned and crisp, about 1 minute. Spread with spicy mayo. 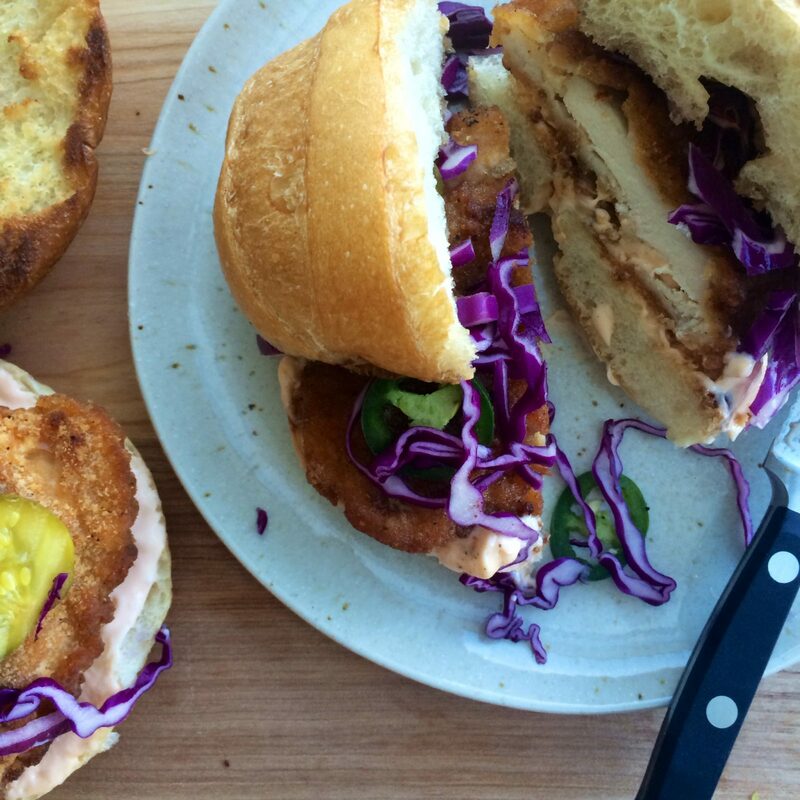 Build sandwiches with rolls, chicken, and cabbage slaw.